Vibrant, Exciting, Friendly, and So Much to DO! 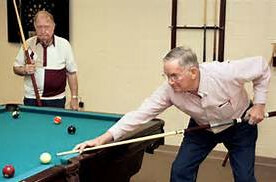 Senior Centers are recognized by the Older Americans Act as a community focal point, and are one of the most widely used senior services among America's older adults. Ours are no exception. meet with your friends and neighbors. Make some new friends too. Enjoy a good conversation, a laugh, share your concerns, and catch up on the community news. have a delicious and nourishing lunch at a reasonable cost. Think about how much time you'll have for other things when you don't have to cook or clean up! And it's an inexpensive date whether you come with your spouse or with friends. play cards, other games, try a new activity or learn a new skill. learn about other options available to you - whether it's finding that perfect volunteer position, supporting you as a caregiver, or finding options that empower you to remain at home and in your own community, Senior Centers serve as that gateway to many community resources. get healthier through exercise programs - try something brand new like Tai Chi, aerobics, or Zumba. Many Senior Centers also have monthly blood pressure checks and other screenings. increase your knowledge. Listen to topics that engage your interest such as protecting yourself from becoming a victim of recent scams attempts. Create and sample a new recipe, learn about some new food trends or more in-depth nutritional topics monthly through "Fresh Conversations" at participating Senior Centers. 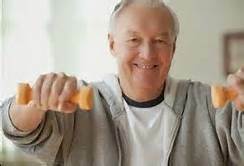 help plan and take part in Senior Center's activities. Each community is different - so put your personal spin on what's happening in your community...whether you like the arts, inter-generational activities, sports, games, or other hobbies. 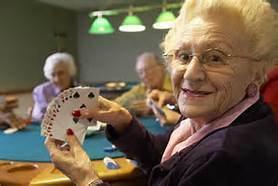 Reinvent your senior center to be relevant for all ages - from the newly retired to the centenarian!